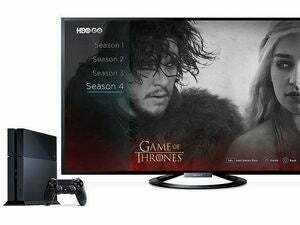 After “several months” of negotiations, Roku and Comcast have ended their unexplained standoff over HBO Go streaming. That means HBO Go will finally be available to Comcast subscribers through Roku's streaming set-top boxes and stick, though it's unclear exactly when the companies will flip the switch. (Update: It's going live today.) Roku's attorneys confirmed the agreement in an FCC filing, which was first spotted by Re/code. HBO Go launched its Roku app in 2011, allowing subscribers to stream the network's original series, movies, and specials. But the app only works for cable or satellite providers who have authorized it, and for the last three years, Comcast has given Roku the cold shoulder without explanation. The line about prioritization might make sense for a one-year-old game console, but Roku is the most popular TV set-top box on the market. Unfortunately, the new FCC filing doesn't say what the holdup was, but at least it's going to be over soon. The story behind the story: As Re/code points out, Comcast is trying to convince regulators to approve a $45.2 billion acquisition of Time Warner Cable, and the continued blocking of HBO Go could be a form of ammunition for the deal's opponents. It could be just a coincidence, but between allowing HBO Go on Roku and taking steps to improve its notoriously awful customer service, it certainly looks like Comcast is trying to be on its best behavior. Editor's note: This article was updated to remove an erroneous reference to the PlayStation 3.